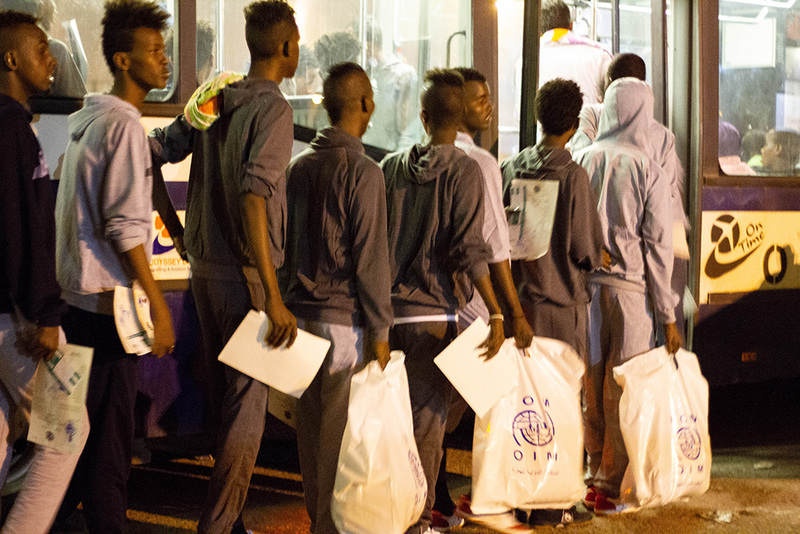 Tripoli/Mogadishu – This week (30/05), IOM, the UN Migration Agency, in collaboration with the Libyan and Somali Governments and with support from the European Union, facilitated the voluntary return to Mogadishu of 150 Somali migrants stranded in Libya. The majority of them had been held in Government-run detention centres. Migrants in Libya are exposed to numerous risks, including smuggling, trafficking, kidnapping, abuse, detention and torture. Through the Displacement Tracking Matrix (DTM), IOM has tracked over 660,000 migrants in Libya. However, the true number could be closer to one million people. “I lost everything in Libya: time, health and money,” said 23-year-old Mohamed, who left Somalia for a better future. “But I will return to Somalia and start from scratch, build a better future away from the daydreams of illegal migration,” he added. IOM is grateful to the Somali Government for the expediency in providing the returning migrants with the appropriate documentation and to the Libyan Government for organizing exit visas. “The support to these Somali nationals wishing to go back to Somalia is the positive result of close collaboration with the Somali Government and UNHCR,” said Othman Belbeisi, IOM Libya Chief of Mission. "This was a massive undertaking between the Somali government and IOM and I am very glad that we are finally able to assist this number of migrants in desperate need of humanitarian return assistance. In the name of the Somali government, I would like to extend my sincere appreciation to IOM for their unwavering support to our migrants stranded in Libya,” stated Ambassador Ali Said Faqi, Special Envoy of the President of Somalia for Somali Migrants Stranded in Libya. Upon return, representatives from the Federal Government of Somalia and IOM welcomed the returnees in Mogadishu. IOM will be fully screening all returnees and providing group psychosocial sessions in the immediate days after arrival. Following these screenings, ongoing reintegration assistance will be provided through general support and complementary assistance, according to the project’s selection criteria. This is the fourth and largest voluntary humanitarian return of migrants from Libya to Somalia. * The reintegration assistance in Somalia is part of the larger EU-IOM Joint Initiative for Migrant Protection and Reintegration, which facilitates orderly, safe, regular and responsible migration management through the development of rights-based and development-focused policies and processes on protection and sustainable reintegration. The EU-IOM Joint Initiative, backed by the EU Trust Fund, covers, and has been set up in close cooperation with, a total of 26 African countries. “The EU recognizes the importance of supporting stranded migrants who wish to return to Somalia and reintegrate with their host communities and I believe that, through this initiative, returning migrants will be able to lead meaningful lives and contribute to a rising Somalia,” said Pencho Garrido Ruiz, Chargé d'Affaires at the EU Delegation to Somalia. * Somali men, women and children had been one of the most represented nationalities leaving Libya for irregular sea crossing to Italy in recent years, although IOM Rome’s Flavio Di Giacomo reported Thursday the number of Somalis registered by Italian authorities has fallen drastically in 2018. Di Giacomo reported just 154 Somali arrivals have been recorded by Italy’s Ministry of Interior through 30 April. Nonetheless, the total number of arrivals from Somalia entering Europe via Libya during 2014-2017 is among the highest of any nationality in this period. IOM counted nearly 30,000 migrant arrivals from Somalia since the start of 2014 (see chart below). 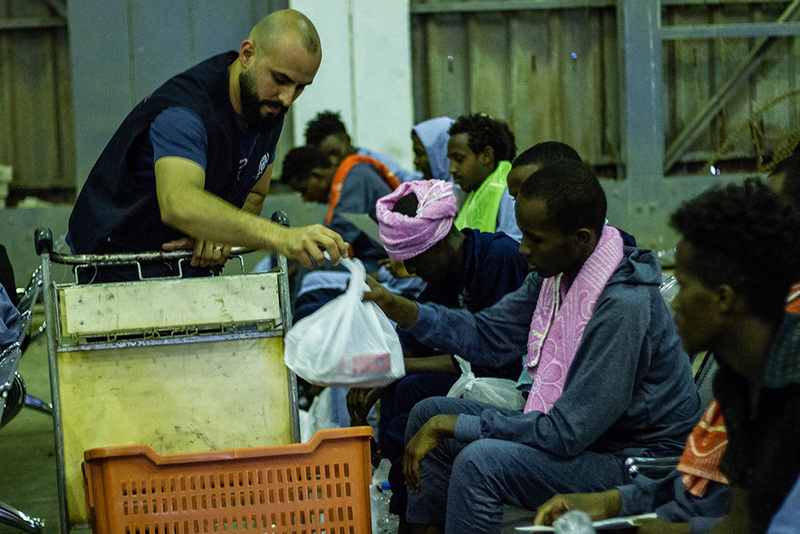 IOM intends to return some 300 more vulnerable migrants in Libya back to Mogadishu in the coming weeks, Othman Belbeisi, IOM Libya Chief of Mission, said.